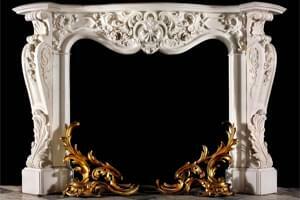 Beautiful custom marble mantles are what we specialize in. 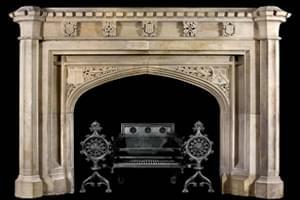 These custom stone mantles can be hand carved from any natural stone; these can include marble or French limestone. Placing any of these gorgeous mantles in your custom built mansion will make your home a focal point of the neighborhood. 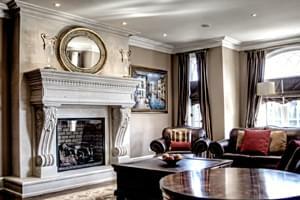 The stone mantles can be custom made to best suit your needs and your home. They can be hollow or full, large or small, intricate or simple, all custom based on your needs to complete your home. Natural stone also comes in a variety of colors and textures which can include smooth for a more elegant look or rough for a more natural rustic look. 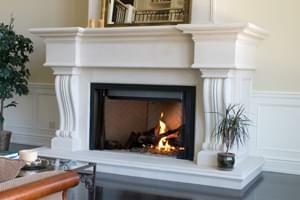 Marble or limestone mantles are durable and can be hand carved to be either one piece or several depending on costs. Marvelous Marble Design Inc. designs and hand carves custom made natural stone mantles to make them the focal point of your custom built mansion.